From 1943 until 1945, Paul Arbogast spent his days preparing for, fighting, recovering from, and again fighting a war. 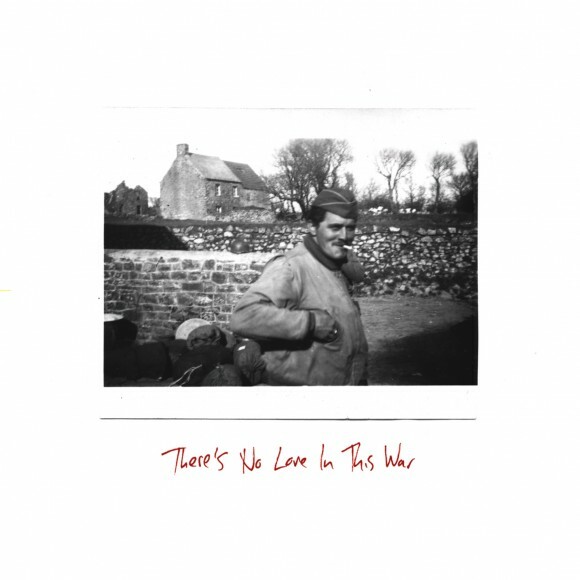 The songs that comprise There’s No Love In This War are based on the seventeen letters Paul wrote to the girl he met at the Ukranian Club at home in Allentown, Pennsylvania, the year before he left. Paul and Julia were married six months after he returned and in 1947 she gave birth to their first child, my father Mark. Paul passed away at the age of 39 of a heart attack, attested mainly to the shrapnel still in his chest from wounds received at Anzio in 1944. Though she never spoke in detail of Paul, my grandmother Julia had no other man in her life. She passed away a few years ago. These songs are his, though they may not do him justice. I’ve never fought in a war and hope to always be able to say that.